Knowledge, experience and personal contacts are keys to success in any business. Fortunately, there is an organization that makes all three readily available to those in the engine remanufacturing industry. The Production Engine Remanufacturers Association is an association of individuals and firms who are remanufacturing internal combustion engines and their major components, or are supplying necessary components, supplies and equipment required in the remanufacturing process. The goal of the Association is to provide its members with the opportunity to exchange the ideas, methods and procedures necessary to efficiently produce remanufactured products which are equal or superior to original products in quality and performance. PERA adheres to and supports the premise that its members are dedicated to the highest business ethics, customer satisfaction, employee consideration and to the continual up-grading of the engine remanufacturing industry. 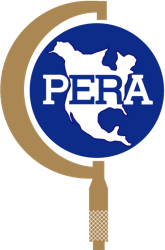 The 2019 PERA convention will be held in San Diego, CA September 18-20 at the San Diego Hilton Resort & Spa on Mission Bay! Click here to preview this fabulous hotel! Click here to visit the file upload page! Lip Seals Aren’t What They Used To Be! Copyright ©2010-2019 Production Engine Remanufacturers Association.